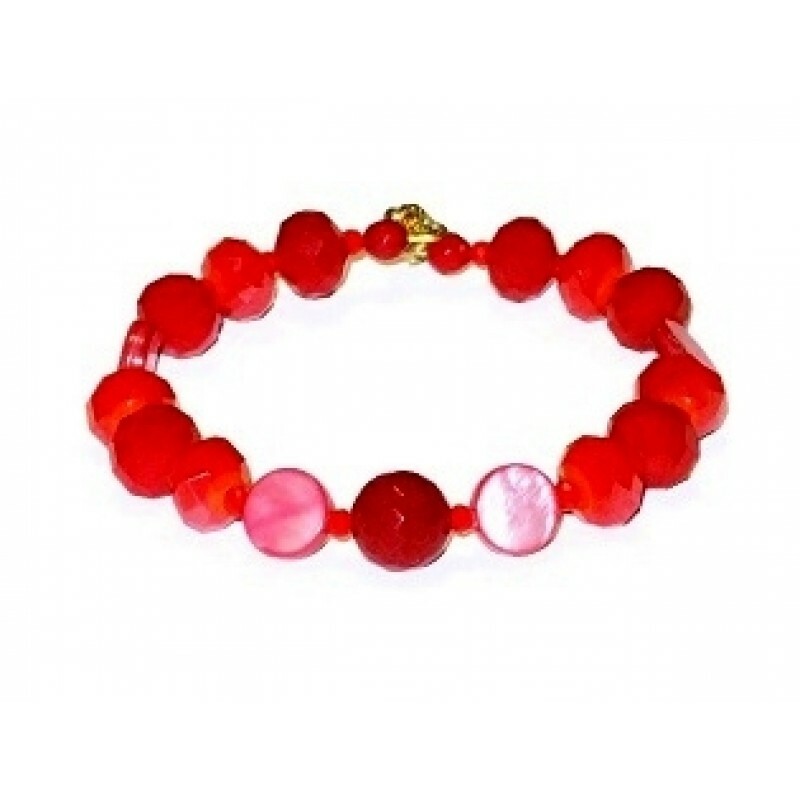 This red bracelet consists of mother-of-pearl beads, crystals and a faceted jade bead in the center. It is made on expandable wire, and has a gold-plated lobster clasp. The size of this bracelet is 7.